A critical problem faced by railways is how to increase capacity without investing heavily in infrastructure and impacting on schedule reliability. One way of increasing capacity is to reduce the buffer time added to timetables. Buffer time is used to reduce the impact of train delays on overall network reliability. While reducing buffer times can increase capacity, it also means that small delays to a single train can propagate quickly through the system causing knock-on delays to trains impacted by the delayed train. The Swiss Federal Railways (SBB) and Swiss Federal Institute of Technology (ETH) are researching a new approach for real-time train rescheduling that could enable buffer times to be reduced without impacting schedule reliability. This approach is based on the idea that if trains can be efficiently rescheduled to address delays, then less buffer time is needed to maintain the same level of system schedule reliability. The proposed approach combines a rescheduling algorithm with very accurate train operations (using a driver-machine interface). 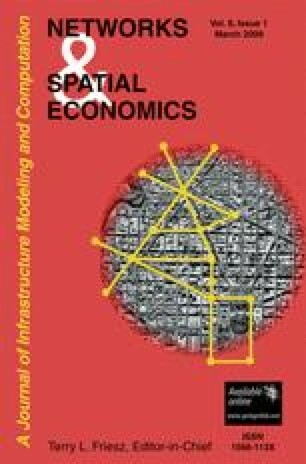 This paper describes the proposed approach, some system characteristics that improve its efficiency, and results of a microscopic simulation completed to help show the effectiveness of this new approach. The results demonstrate that the proposed integrated real-time rescheduling system enables capacity to be increased and may reduce knock-on delays. The results also clearly showed the importance of accurate train operations on the rescheduling system’s effectiveness. The authors would like to thank the Swiss Federal Railway Infrastructure Division, namely Dr. Felix Laube, Dr. Raimond Wuest, Samuel Roos, Oskar Stalder and Thomas Graffagnino, for funding this research and for their fruitful discussions, and also Prof. Ulrich Weidmann, Prof. Giovanni Longo and Adrian Johner for their cooperation and helpful support. The authors also thank the reviewers for constructive suggestions that helped improving substantially the quality of this paper.